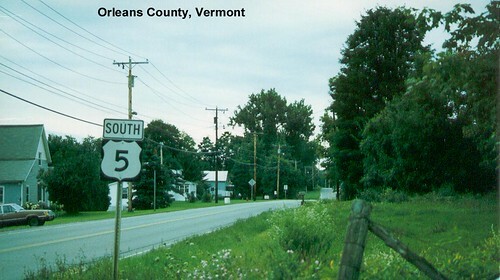 US 5 begins at the Canadian border in Derby Line. 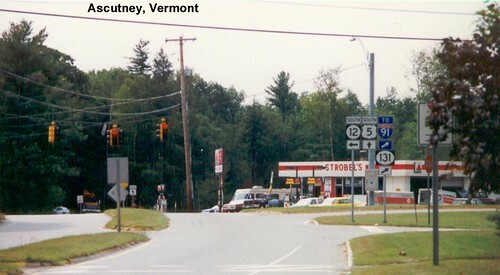 US 5 parallels I-91 for the length of Vermont and so now serves primarily local traffic. 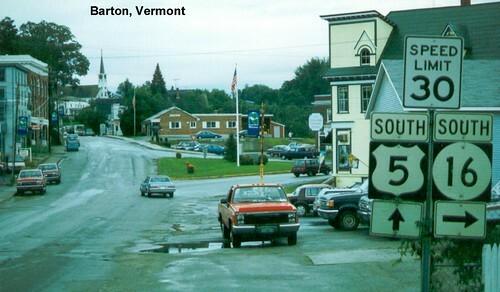 US 5 passing through Barton, Vermont. 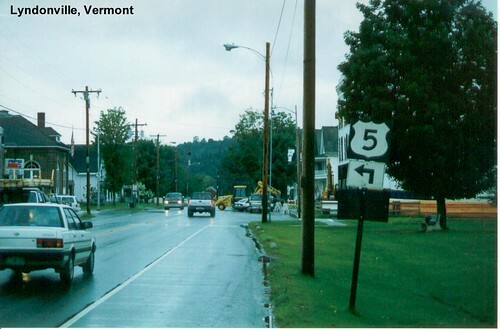 A wet US 5 in Lyndonville. 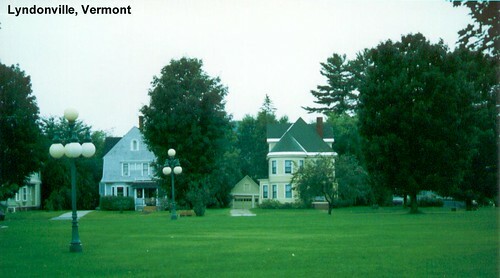 A few of the homes visible from US 5 in Lyndonville. 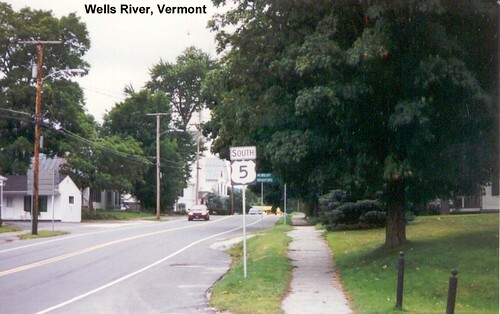 US 5 in Wells River. 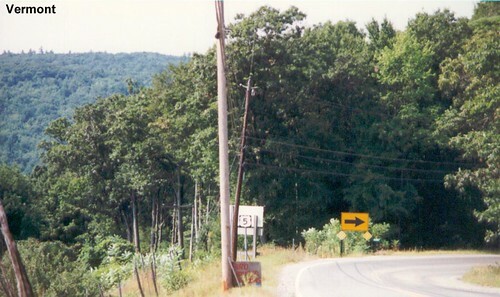 US 5 remains a quiet two-lane road as it passes through Fairlee. 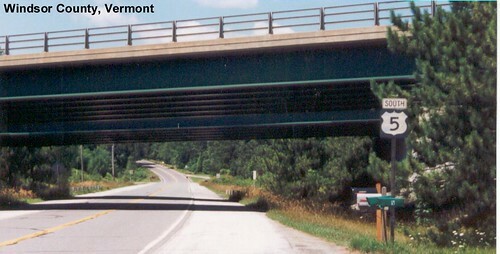 I-91 crossing US 5 in Windsor County near Norwich. 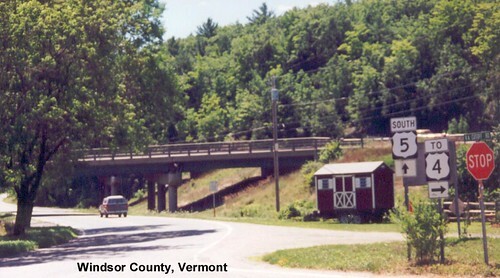 Near White River Junction we see I-89 crossing US 5 and a back route to US 4. 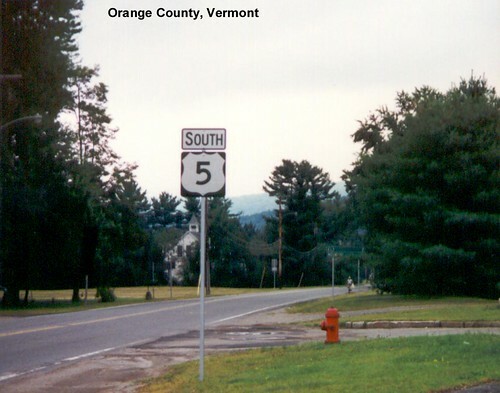 US 5 continues its journey south through Vermont heading for Massachusetts. 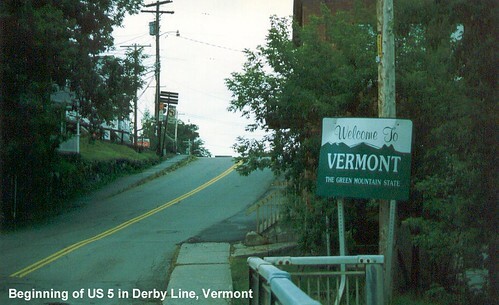 Windsor Boston and Maine - White River Junction to Greenfield White River Jct.